Considering the success of Fallout 3 and Fallout: New Vegas, there was now doubt in people’s minds that the vast Wastelands would be revisited in Fallout 4. However, fans may be getting a little antsy as the it’s been two years since the last Fallout game was released. 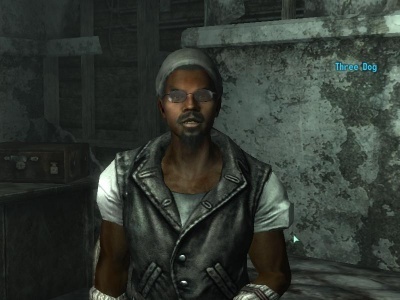 Today, we’re offering a glimmer of hope that we’ll be getting the fourth main sequel to one of gaming’s most beloved franchise, courtesy of Erik Todd Dellums a.k.a Fallout 3’s Three Dog. With Skyrim wrapping up, it seems logical for Bethesda to start work on one of their other big franchises. Fallout 4 seems like the logical choice especially since fans have been clamoring for another adventure in post-apocalyptic America for quite some time now. We here at Tapscape love the Fallout games and we would certainly love to see Fallout 4 on the shelves. What would you like to see different this time around? How about a Fallout game set in China, the country that the U.S. supposedly exchanged atom bombs with in the game’s storyline?